The state insurance regulator group hopes to make its systems safer, more flexible and easier to use. 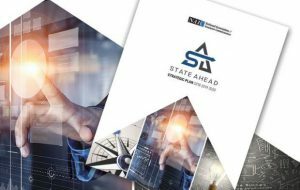 State Ahead is a 3-year blueprint for the NAIC’s future. Managers of the National Association of Insurance Commissioners could spend about $12 million over the next three years to improve the organization’s information systems and data security efforts. 'If we're going to regulate a high-tech insurance industry, we must have cutting-edge tools to keep up,' says Sullivan.